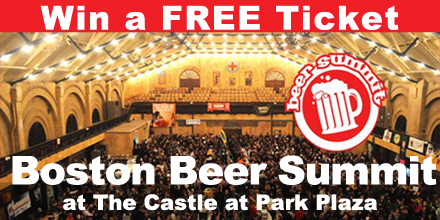 Boston, MA (April 4, 2016) – The Boston Beer Summit – Boston’s premier craft beer tasting event – returns for its 18th year inside the Castle at Park Plaza, located at 130 Columbus Avenue in Boston, during Boston Marathon weekend on Friday, April 15th and Saturday, April 16th. 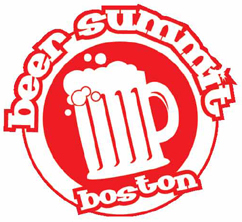 Enter Here for Your Chance to Win a Free Ticket to the Boston Beer Summit!! A winner has been chosen and notified, but you can still buy tickets by clicking here. The 18th annual beer tasting extravaganza draws in approximately 2,000 attendees over the course of three sessions over two days, with one session on Friday, April 15th from 6:00 to 9:30 p.m. and Saturday from 12:30 – 4:00 p.m. and 5:30 to 9:00 p.m. Guests will have the unique opportunity to sample 200-plus beer varieties from over 50 local, regional, national and international breweries looking to showcase signature brews, seasonal favorites and new varieties not yet available to the public. “The Boston Beer Summit has grown exponentially in popularity, volume and attendance over the last eighteen years that we’ve essentially evolved into two beer tasting shows in one – a local craft beerfest inside a national beerfest, while paying homage to a few international breweries as well,” said Boston Beer Summit Co-owner, Mike Munnelly. Widely considered to be the premier craft beer tasting event amongst local and regional beer enthusiasts, the Boston Beer Summit has occurred during Boston Marathon weekend every year since 1999, inspiring in the same capacity by showcasing the talents of the locally best brewed beers while welcoming the national and international elite with open arms. The Boston Beer Summit team only allows breweries with a commitment to craft and an excellence in craftsmanship to partake in its annual top craft beer event here in the heart of New England. Breweries representing New England include: Artifact Cider Project, Backlash Beer Company, Bad Martha, Bay State, Bent Water Brewing, Blue Hills Brewery, Castle Island Brewing, Clown Shoes Beer, Down the Road Brewery, Downeast Cider House, Flying Dreams Brewing, Fort Hill, Gardner Ale House, Harpoon, Ipswich Ale Brewery, Lookout Farm Hard Cider, Mighty Squirrel, Paper City Brewery, Peak Organic, Samuel Adams, Kennebec River Brewery, Foolproof, Grey Sail, Narragansett Beer and Woodstock Inn & Brewery. Breweries from other parts of the country and beyond include: Angry Orchard, Brooklyn Brewery, Browns Brewing Company, Saranac, Coronado Brewing, Humboldt Brewing, Lagunitas, Speakeasy Ales & Lagers, Oskar Blues Brewery, D.G. Yuengling & Son, Weyerbacher Brewing, Shiner, Uinta Brewing Company, Hofbrau, Dinkel Acker, O’Hara’s Brewery, Dingle Brewing, Brouwerij Van Steenberge, De Brabandere and Brouwerij Van Honesbroukck. “We consider ourselves lucky to live in New England which houses some of the best craft breweries in the country, but we’re exceptionally proud to bring other talented and respected breweries outside of our region to Bostonians who might not otherwise get a chance to try them,” added Co-owner, Shawn Rich. For additional information on the 18th annual Boston Beer Summit and to purchase tickets, please visit www.beersummit.com. Tickets are $55 per person in advance, $65 at the door and include admission, tasting mug, unlimited beer sampling, live entertainment and food from local vendors. Boston Beer Summit updates will also be posted continuously on Facebook (@BeerSummitFans) and Twitter (BeerSummit) between now and Boston Marathon weekend. Click here to read Wicked Cheap Boston’s interview with one of the co-owners of the Boston Beer Summit.